I normally post a single photograph at a time but today we visited the Virginia Holocaust Museum where a group of Tibetan monks was working on a mandala. It was an inspiration to witness the patience, concentration and precision of the monks at work. To give you a better feel for the whole scene I decided to post a series of photos. 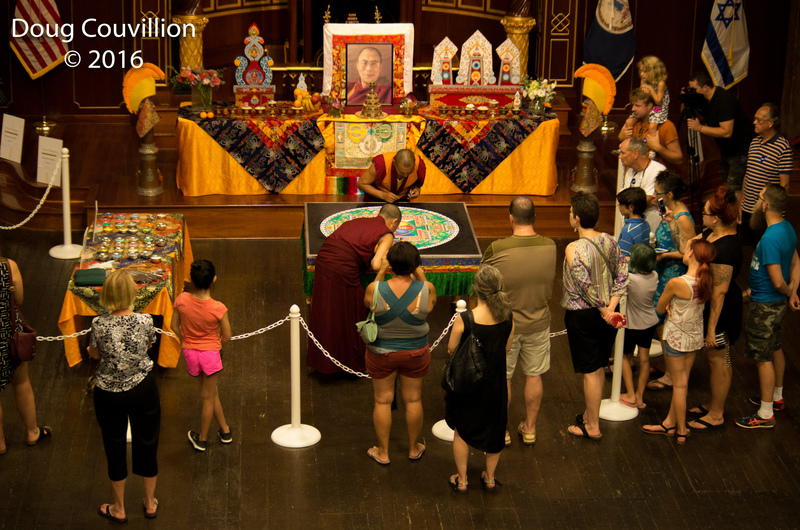 The Tibetan Buddhist art of mandala is a practice in which the participants create an elaborate, beautiful mosaic of colored sand. 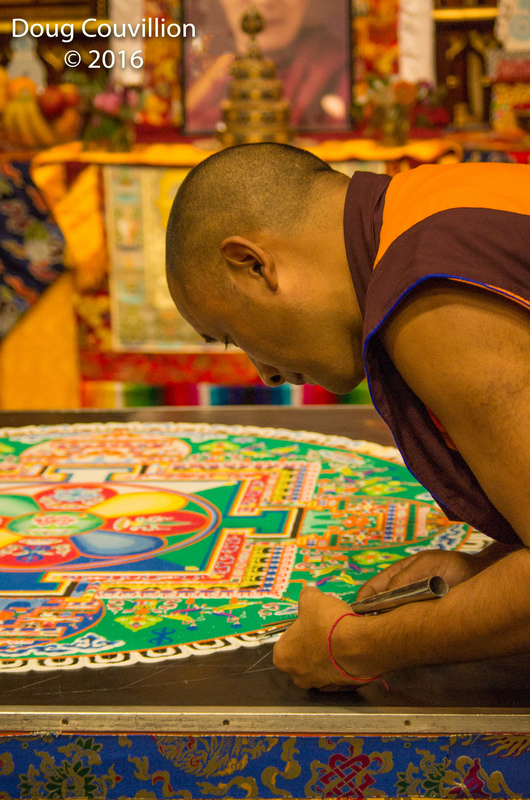 They work on the mandala for many days, adding little bits of colored sand to fill in each section. The sand is added slowly and precisely to create crisp, clear lines. 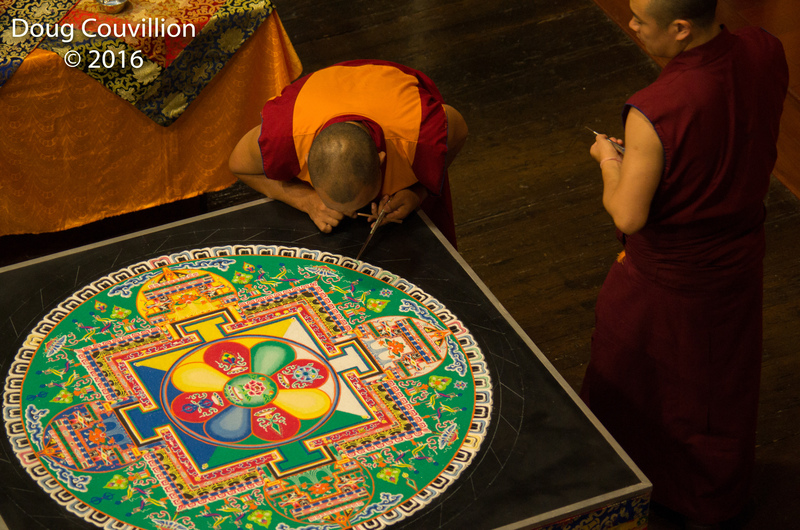 When the mandala is finished the monks sweep up the sand and discard it in a river. The process is both meditative and a practice in impermanence. This monk was working alone when we arrived. His concentration was remarkable. Despite the crowd of people watching, the monks remained focused on the task at hand. 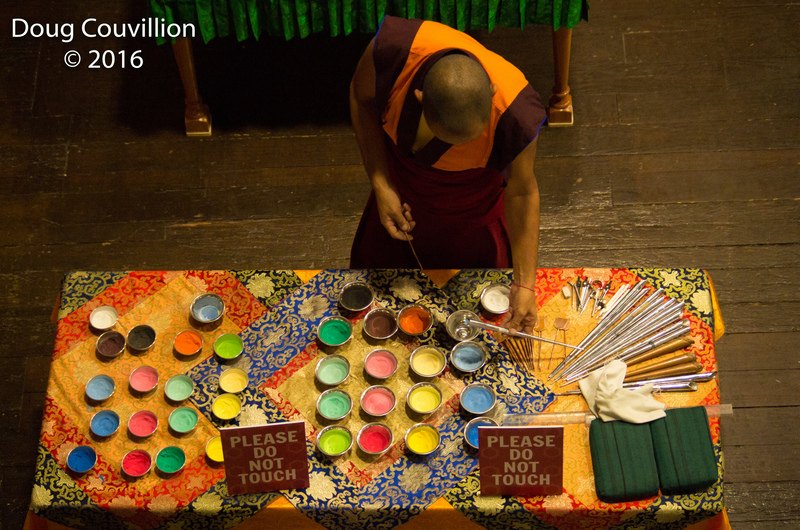 One of the monks gets more blue sand to add to the mandala. 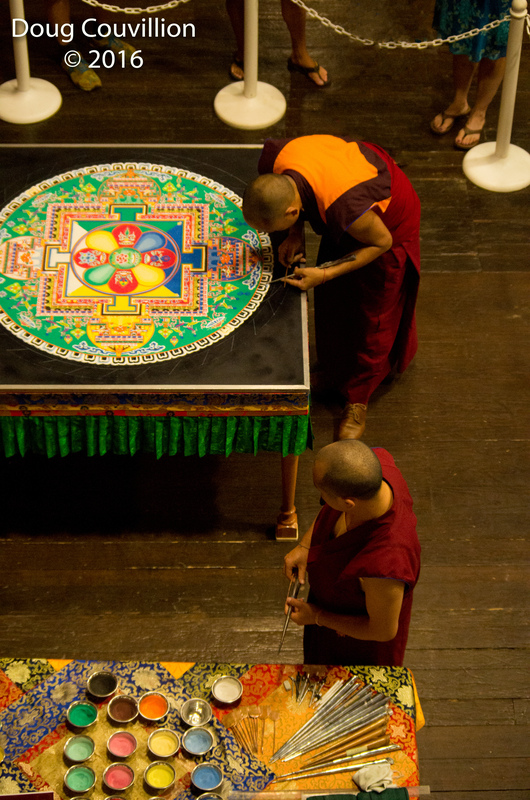 Up to three monks worked on the mandala at a time. 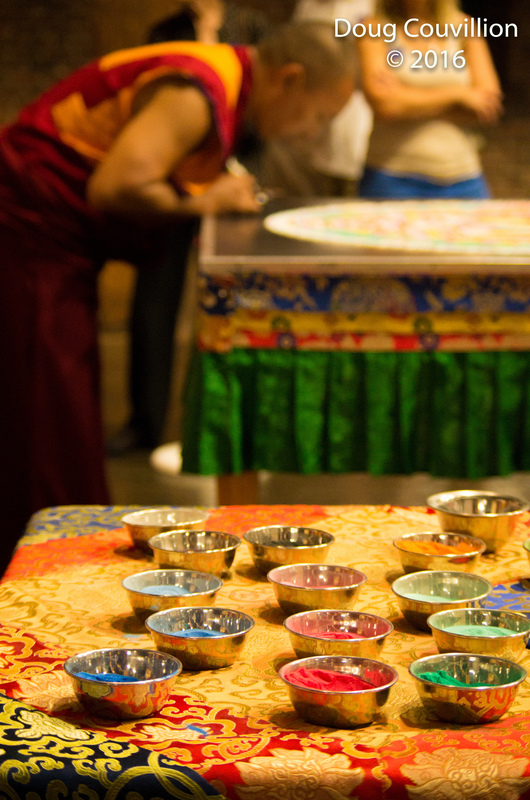 Here you can see some of the vibrant colored sand used to create the mandala.